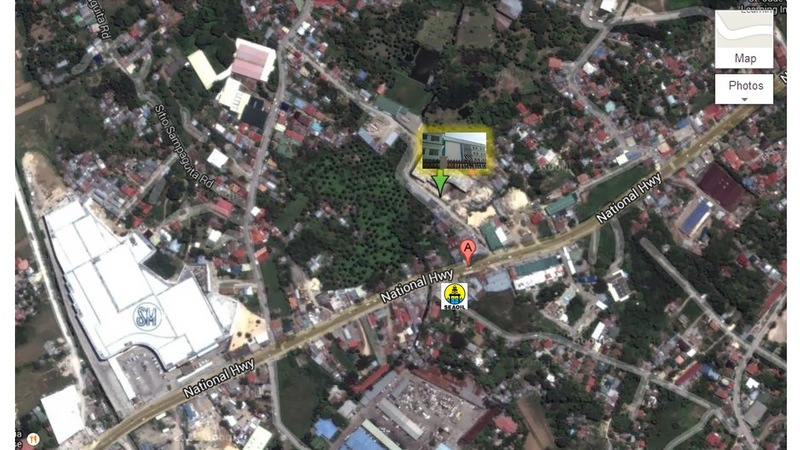 Consolacion and North Cebu will soon welcome a general hospital within their reach. 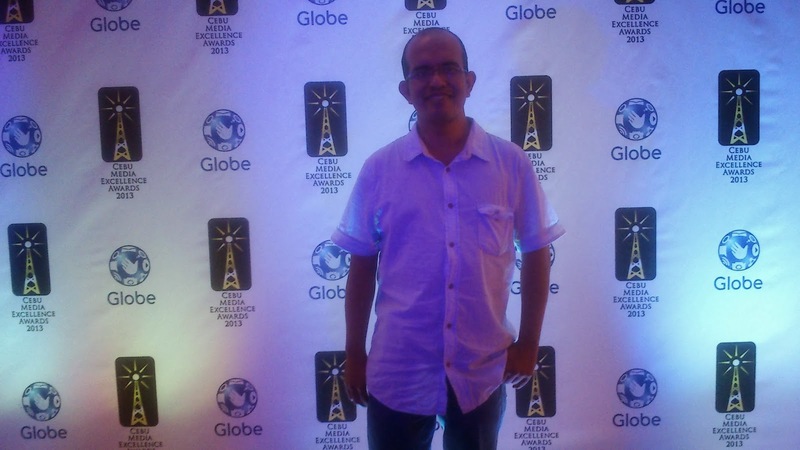 Yours truly was a finalist of the 2nd Globe Cebu media Excellence Awards. 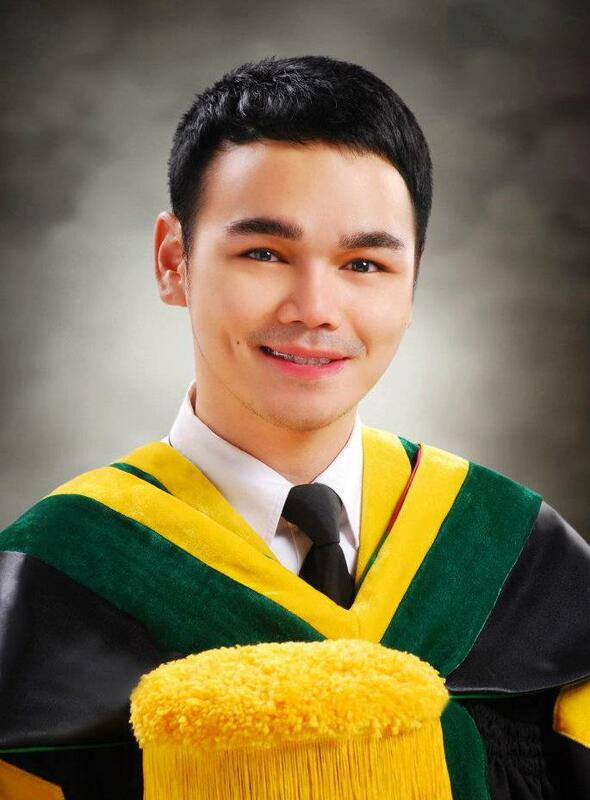 Two students from the same medical schoolin Cebu topped the medical board exams. Do you remember that patient? No. Not just any patient. THAT patient. The one you got close to. Spent time with. Got obsessed about over their case. He or she wasn't particularly interesting. They weren't some actor or some famous person you met. No. They were the patient you studied medicine for. The one you thought to yourself "This a a life worth fighting for". The patient whose life you thought was under control. After all. The meds were in place. Numbers were on their side. They'd be going home. They'd see their kids. They'd go back to their farm, have a beer with their sons, chat with their daughters. You that patient? Yes. The one that you slowly watched defy all sound medical evidence and deteriorate beyond all means. The one whose relatives looked at you with eyes that screamed "You said she was ok". The patient that coded at 3 in the morning, but with you already in the room, probably too dumbfounded to realize the code team was screaming orders for the next epi around you. That patient. The one you'd give anything to bring back, not because of pride, ego, shame or guilt, but because you simply didn't understand "why" - the one word that drove you through school that you thought you had all figured out. DO you remember her? Her face? Her two grandchildren? Do you remember him? The veteran who fought for his country. The teacher who taught in the same classroom until she couldn't walk from her rheumatoid arthritis? Yes. I do. And I carry their memory in my heart as a remember of why I became a doctor. The national elections are fast approaching, and a quick glance at my newsfeed tells me that the in this age of freely available, albeit sometimes dubious information, the average netizen has been transformed from being a personality buried in the masses subject to the receiving end of engineered political propaganda into a well informed, grounded and highly vocal individual not afraid to seek out and defend the truth. Knowledge, therefore, is power – and in the words of Spidey’s late uncle Ben: “With great power comes great responsibility”. As a doctor, I’ve seen my share of both triumphs and failures in the country’s national health system. Now, without wanting to sound like a political ad, I’d just like to point out that, yes, our country’s health care has benefitted from several extremely well placed and promulgated policies: the expanded program on immunization (EPI) established in 1976 has curbed numerous childhood illnesses and diseases and continues to do so with ever increasing coverage from urbanized areas to rural health centers, vitamin supplementation to basic foodstuff and commodities have likewise decreased numerous micronutrient deficiencies in the country, neonatal care in the form of “Unang Yakap” has also significantly lowered childhood mortality and aims to place us in line with the World Health Organization’s standards for proper maternal and child care. All of these and so much more triumphs have – at the heart of each initiative and strategy – one common denominator. That is the grace, strength and resilience that is the Filipino Heart. What is the Filipino Heart? What keeps us going? What makes us pursue the virtues of charity, unity and nationalism in the face of overwhelming adversity? After spending close to 10 years in the pursuit of knowledge in the field of medicine, one can’t help but notice that we have an innate want and genuine desire to help not just our countrymen, but the desire to help our fellow man. But unfortunately, even a genuine desire to help – in the face of ignorance or the lack of knowledge – equates to nothing more than a bag of good intentions. 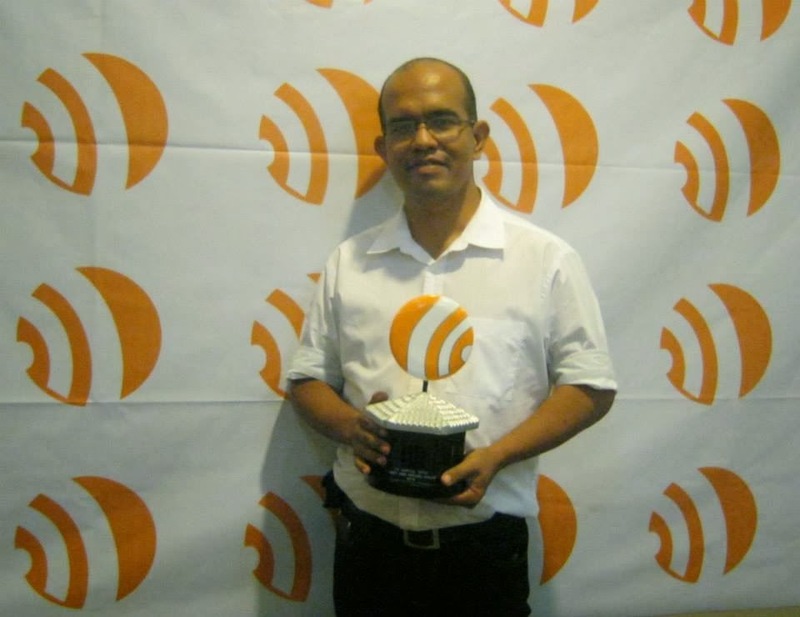 The Filipino Heart, therefore, needs to be coupled with the spirit to lead, learn and empower. For the uninitiated, Avelino “Samboy” Lim Jr. was a highly prolific PBA superstar and the recipient of numerous athletic accolades, consistently being chosen to represent in the country in numerous sporting events held globally in the 1980s. One fateful day in November of 2014 – he collapsed after an exhibition game and went into cardiac arrest. Unfortunately, no one present was equipped with the knowledge on the basics of Cardiopulmonary Resuscitation (CPR) and, despite being rushed to the hospital in under 25 minutes, Samboy still remains in a semi-comatose state until today. Doctors and health experts all agree that, had CPR been initiated early, the devastating effects of Samboy’s current state may have been minimized or circumvented altogether. Readers, lawmakers, citizens – it is about time that we empower the Filipino Heart. In an effort to empower and impart us with knowledge, a new law has been proposed to members of congress in the form of House Bill No. 5891 known as “The CPR Training in Schools Act” or “The Samboy Lim Act” in memory of the PBA superstar. This law will mandate the training of students in both private and public schools in an effort to equip them with skills and knowledge necessary to perform life saving CPR. The Philippine heart association’s statements further add to the utility of this bill – stating that properly performed by-stander CPR has been linked to a greater likelihood for survival and better patient outcome. Passing this law will enable us to empower the Filipino people in their genuine desire to care for their fellow man. But with such knowledge comes great responsibility. Although I hardly believe that such implementation will be carried out smoothly and without hitches – I can only hope that such a great initiative will go down in history as one of this nation’s triumphs in the health care sector. Maybe. Just maybe. That fateful day in November will be nothing more than a distant memory that sparked desire to empower the Filipino Heart. Chronic dialysis patients are PWDs too based on RA 7277. Republic Act No. 7277 or the Magna Carta for Disabled Persons defines Disability as "a physical or mental impairment that substantially limits one or more psychological, physiological or anatomical function of an individual or activities of such individual." While impairment in the same document, is defined as "any loss, diminution or aberration of psychological, physiological, or anatomical structure of function." Given this information and considering the fulfillment of the criteria in the definition, undoubtedly, chronic dialysis patients can be considered Persons with Disabilities (PWD) even if they appear to be physically okay with complete limbs and with no blindness. SSS even gives disability benefits to these patients. 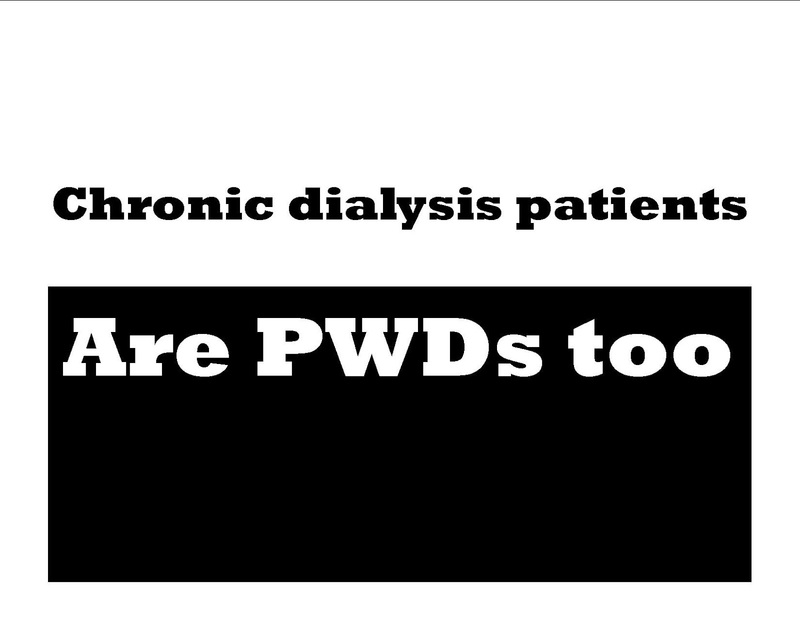 Unfortunately, many chronic hemodialysis patients when applying for PWD ID are not granted PWD status despite presentation of a medical abstract/certificate from the doctor or nephrologist. These includes patients with expired PWD IDs which were considered PWD before. How can those considered PWD in the past, be not considered PWD in the present time? Some of the reasons given are "you still appear OK. You can still walk...and the like. When does outward appearance become the main basis of giving PWD cards? Unfortunately, even those dialysis patients with "pamamanhid" or edema are not given PWD IDs. 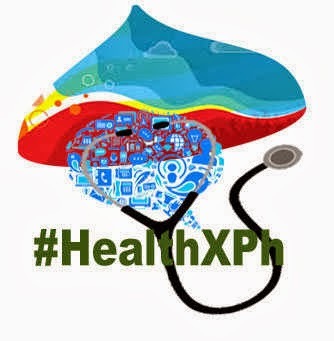 Perhaps due to lack of proper information dissemination, some people appear to be puzzled also as to why dialysis patients are found in lines for PWDs in pharmacies and supermarkets. For some pharmacies, PWD classified as with chronic diseases are not included in those entitled for discounts. 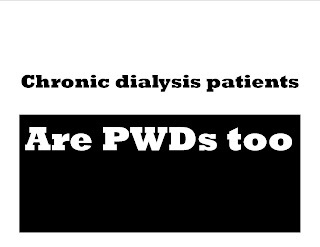 And dialysis patients have the label "chronic disease" as PWDs. But again looking at the definition of the magna carta, it is clear that dialysis patients are also PWDs. Dialysis patients may appear "normal" but without dialysis, chances of survival is much lower compared to those without eyesight or without an arm since the absence of functioning kidneys is incompatible with life. The absence of functioning kidneys is like having NO kidneys at all. Like other PWDs, they need assistance, assistance which a PWD ID can help provide due to the benefits that come with it, like medicine discounts and dialysis discounts among others. All these benefits are of big value to dialysis patients who spend a lot for medications, erythropoietin injections, vaccinations and possible blood transfusions and hospitalizations. And so dialysis patients, humbly ask the Mayors, Baranggay Captains, other concerned personnel and our DSWD secretary Corazon "Dinky" Soliman who is also the Chair of the National Council for Disability Affairs to ensure the consistent and objective application by their personnel of RA No. 7277 to chronic dialysis patients, who based on the said Republic Art are actually PWDs. So that they too (like other deserving PWDs) may be able to avail of the entitled benefits given by virtue of the possession of a PWD ID card. To the public, we are asking for your valuable support in this petition so that this issue will be brought to the attention of the concerned agencies and authorities. Your support will actually help save lives as the PWD benefits can help sustain the needed intervention and medications of these patients. Thank you and God bless. This petition is found in this link. Feel free to sign there and share.